Thu., Oct. 19, 2017, 5:44 p.m. The timing could not have been much worse. The No. 12 Huskies lost starting cornerback Jordan Miller to a season-ending broken ankle in last Saturday’s 13-7 defeat at Arizona State. Washington was already playing without its other starting cornerback, Byron Murphy, who could miss several more weeks with a broken foot. The Huskies (6-1, 3-1 Pac-12), idle this week, will likely turn to one of their true freshman cornerbacks — Keith Taylor or Elijah Molden — to start against UCLA on Oct. 28. The Bruins are 3-3 this season (1-2 Pac-12) entering Saturday’s game vs. Oregon, but junior QB Josh Rosen leads the Pac-12 (and ranks second nationally) with 392.3 yards passing per game. Rosen, no doubt, will test UW’s young corners — and test them often. Rosen, a potential top-five pick in the NFL draft, has thrown for 2,354 yards with 17 touchdowns and eight interceptions this season. 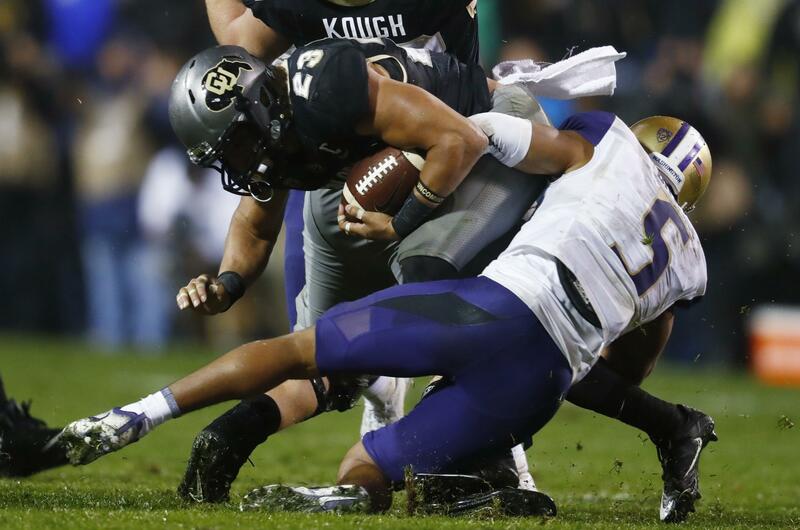 The Huskies have not allowed a passing touchdown in four Pac-12 games this season. Junior Jomon Dotson, a converted running back, will be in the mix at cornerback too, but the Huskies are expected to turn to either Taylor or Molden with Miller out. Taylor, a 6-foot-2, 186-pound native of Long Beach, California, has seven tackles and one pass breakup in six games this season. Molden, 5-10, 186 pounds and out of West Linn, Oregon, has 12 tackles and one pass breakup in seven appearances. Both have been regulars on special teams, and co-defensive coordinator Jimmy Lake has consistently praised both this season. Sophomore Austin Joyner has played well the past four weeks in Murphy’s place. Murphy, a redshirt freshman, is not expected to recover in time for the UCLA game. Published: Oct. 19, 2017, 5:44 p.m.